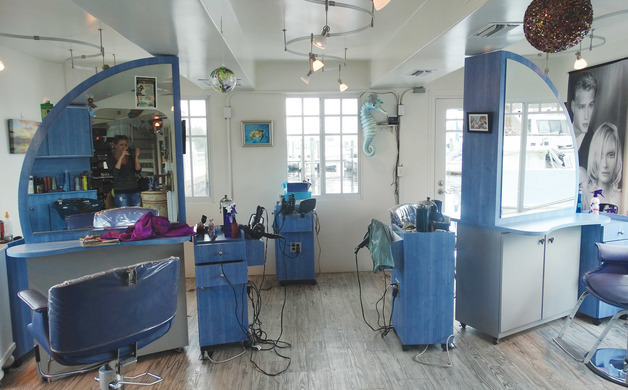 Rumours Hair Design has everything you could want in a salon—bright, open spaces; impeccable cleanliness; a full menu of hair, skin and massage services; and a nautical theme bursting with whimsical charm. 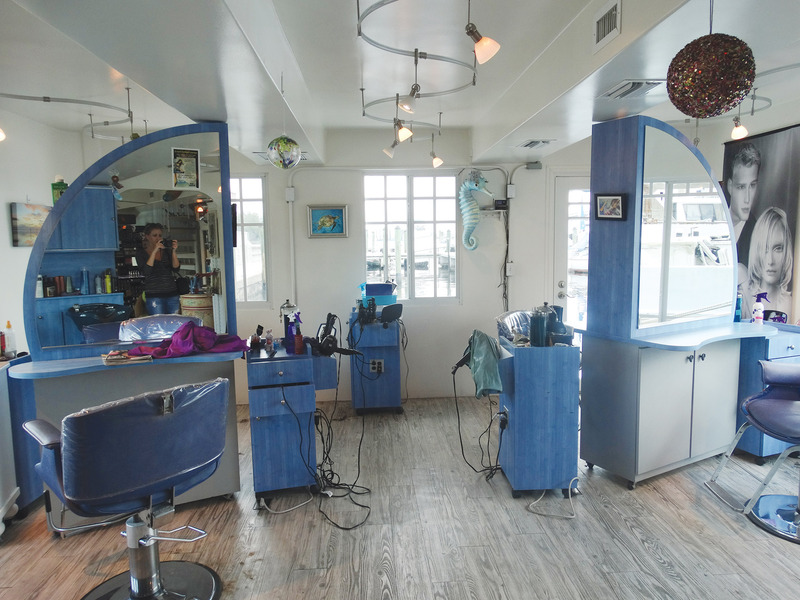 But the location has one unique characteristic that no other salon can match: It’s situated on a cozy, pale yellow houseboat that floats gently in the Yacht Basin located in the historic downtown Fort Myers River District. I’m as transfixed by the creative details that surround me like the hand-painted desk in the center of the reception area, and the glass-blown fish ornaments dangling from the ceiling, as I am impressed by the steady floor under my feet. It certainly doesn’t feel like I'm standing on a boat. 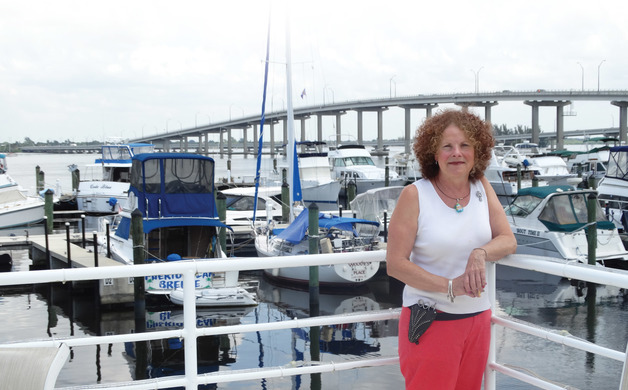 Owner Marcia Schwalm greets me with a cheerful smile as I step on board into the serene setting, and extends a warm hand with nails painted every color of the rainbow. She seems pleased that I’m eager to learn more about what she’s termed her literal labor of love. “We built it from scratch,” Schwalm explains, her tightly wound curls bouncing softly around her shoulders as she speaks. 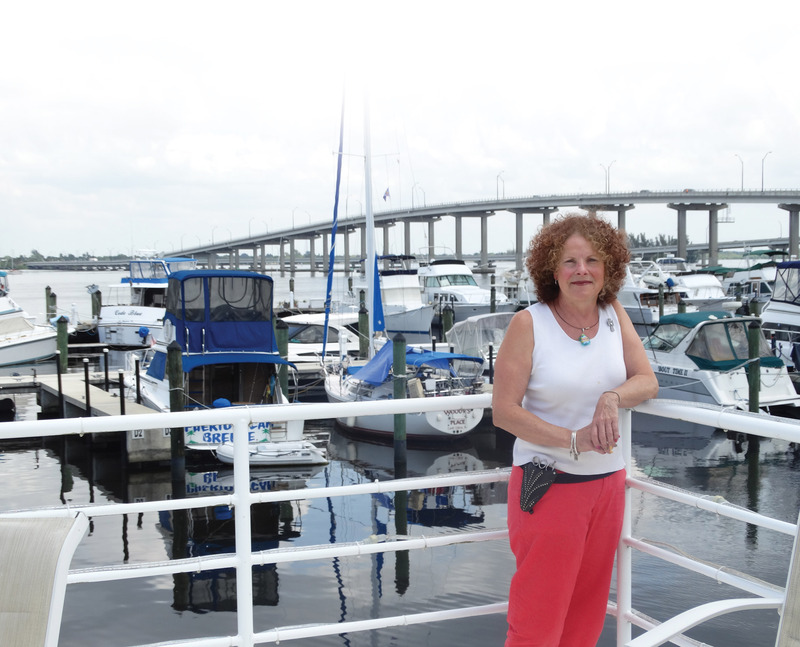 “I cut every piece of fiberglass practically on this boat.” As I follow her up the spiral staircase, past a row of angel figurines that stand guard in the corner, she begins to explain how the idea came about. Written by Renee Novelle, an author and freelance journalist living in Southwest Florida.